While the industry has been talking about the shift to IP and the benefits that come with it for years, the reality is that many organizations are still in the process of building the business case needed to make an investment decision. While some would say this is just about formalities, it’s never the less something that needs to be done. And knowledge about the business case for moving to IP (and SMPTE ST 2110) has evolved quite a bit over the past few years, which is why the topic is still very much valid. This article will therefore summarise the benefits and business case drivers for moving to IP and SMPTE ST 2110 currently seen as most relevant. Note though that your business case will depend on your organizations own needs and requirements. I.e. what benefits are applicable to you will decide how strong your business case will actually be. 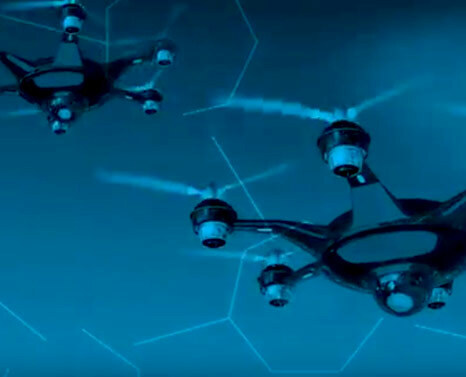 I’ve divided the benefits and business case drivers into two categories, one is the general benefits that come with moving from SDI to IP, and one is benefits specifically associated with ST 2110. There are a number of benefits that come with the shift from SDI to IP, no matter what IP based technology or standard you choose. A few years back, many thought the possibility of using cheap COTS equipment was the main benefit and the strongest business case driver for moving from SDI to IP. Since then experience has shown otherwise, and today many broadcasters say that building IP based studios and production environments cost the same or even more than SDI based studios. Primarily because slightly cheaper gear is offset by more complex infrastructure (QoS, addressing, protection etc). If the IP infrastructure you choose for your studio and your WAN can help you avoid some of that increased complexity or not will have an important impact on your business case. So, if we are looking at the studio and infrastructure costs in isolation, there’s really no cost benefit to going IP. But a single studio project is one thing. More efficient ways of working something completely different. And it’s in the efficient ways of working enabled by IP/IT/software based solutions that the real money savings can be found. While IP and IT based infrastructure itself may not be cheaper, it definitely opens up for more efficient resource usage. Equipment and resources that are multi-function means you get better resource utilization and they make it easier to manage temporary event peaks. Moving to standard IT based infrastructure also opens up for moving functions to the cloud, which lets producers focus on their core business, creating great content, while someone else is taking care of the infrastructure. On top of this moving to more software-oriented environments makes it much easier to automate tasks, creating more intelligent workflows.Meaning that even though IP and IT based environments may sometimes come across as more technically complex, the way content is produced and managed once these new environments are in place is a lot simpler. Leading to more efficient ways of working, with lower production cost and higher production output. The availability and price points of bandwidth and IP switching capacity continuously declines, making it possible to gradually increase infrastructure capacity, without gradually increasing investment levels. This makes it easier to scale seamlessly instead of with large step-wise infrastructure investments where you rip and replace old equipment every 5 years or so. With an IP-based infrastructure you can flexibly add capacity where and when you need it, meaning you can start out with just the right amount of capacity for your current workflows, being confident that you can scale when your needs change. The reduction of cabling is in many cases a detail with marginal benefit and limited impact on the overall business case. This is true also in environments with limited space, such as OB vans, where experience has shown that other changes that come with the shift to IP and IT gear, such as increased cooling needs, counterweight this benefit. Having said that, there are of course environments where cabling space is limited, and this could end up being a very strong benefit. Just don’t assume it is a widely applicable one. 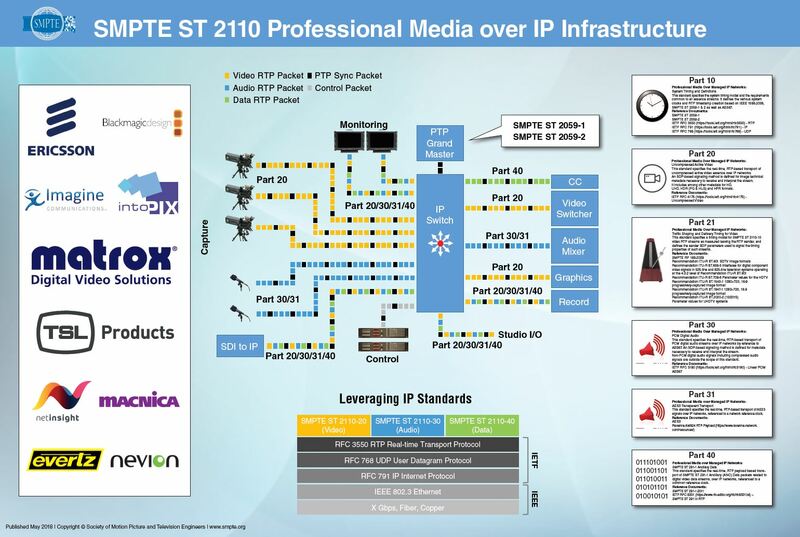 The world now gathers around SMPTE ST 2110, and there are certainly benefits that are specifically tied to going for ST 2110 as your standard of choice, compared to previous IP based standards (e.g. 2022-6). With native support for carrying video, audio and (ancillary) data separately, ST 2110 efficiently enables dedicated audio, video and data workflows. This native support also means that separate workflows can be efficiently distributed across different locations. Being able to do so increases production efficiencyand resource utilization, as production resources can be used wherever they are(on-prem, off-prem, cloud etc), and production can be distributed to either reduce cost or increase content quality or volume. You could even outsource parts of your live production to an organization performing tasks at their own facilities, making it easier to scale up/down production and reduce time to market for new content. This increased resource utilisation creates huge efficiency gains that translate into cheaper content production and more content per $, improvements that can either be used to increase company profitability or to create additional and better content. Content which can be used to personalize the viewing experience, provide more viewing angels or tailor the experience for different distribution and consumption platforms. All in all, content that makes a broadcaster more competitive. If implemented correctly, new efficient workflows are the single most important benefit and business case driver for moving to IP and ST 2110 based production. Having said that these new workflows do come with challenges. The main one being workflow consistency. Once live production workflows are distributed, they involve resources and people at multiple locations, making it crucial that they remain consistent. It should not matter if the entire production is done in an OB van, in a central production facility or distributed across multiple locations. Workflows need to be streamlined, efficient and consistent no matter what. And for this to happen it is crucial that intermediate networks provide consistency too. If network characteristics vary with distance, location or network load that means workflows will have to adapt, resulting in lost workflow consistency. Being format agnostic, defined for video resolutions and color space way beyond anything discussed today (4K, 8K, HDR etc) and defined for both compressed and uncompressed content means ST 2110 is future proof beyond what SDI and other IP standards such as SMPTE ST 2022-6 are. From a business case perspective, the upside is obvious. Any investment you make will have a longer life span, positively contributing to the case for moving to IP and ST 2110. The business case for moving from SDI to IP and SMPTE ST 2110 is strong, but it will depend heavily on your ability to reap the benefits of more flexible IT, cloud and software-based technologies as well as new smarter and more efficient workflows. While simpler scaling, reduced cabling and a format agnostic standard all contribute to the business case, it’s really those new ways of working that make a major difference, as they give you production efficiencies. If you can shift production to remote and distributed setups, using the best production resources and people where ever they happen to be, making the move to SMPTE ST 2110 becomes a no brainer. But don’t forget, those new ways of working put strong requirements on consistency. Without workflow consistency, distributed workflows will be too complex and too expensive. And to get to that workflow consistency, you need your network that provides consistent characteristics, no matter the location, distance or load. If not, your workflows will have to adapt, you will lose workflow consistency and you will not get the upsides required by your ST 2110 business case. Part 1 – How is SMPTE 2110 changing live production? Part 2 – What is SMPTE 2110 and NMOS all about?